Court Documents seen by our newsroom continues to unravel the internal workings of BVI Airways that led to its demise, including now, claims that Smith—burdened by the pressures of running the airline—offered the job of Chief Executive Officer (CEO) to a pilot he had hired weeks earlier—a pilot who at the time couldn’t even legally fly as a Captain in the VI. The information is contained in a sworn affidavit filed by Pilot—Shaun D. Munro—in the Supreme Court of the State of New York, USA. 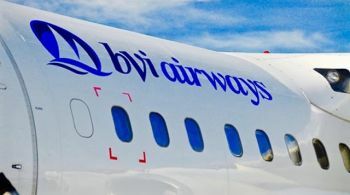 The airline owner, Smith, in his sworn affidavit claimed that by 2013, BVI Airways was $475,000 in debt, the bulk of which was owed to Corporate Flight Management (CFM) Inc. This, since the airlines had operated as a charter and leased the airplane it was using from CFM. Smith subsequently accused BVI Airway’s, then Chief Operating Officer, Scott DeLacy, of embezzling monies out of the company. 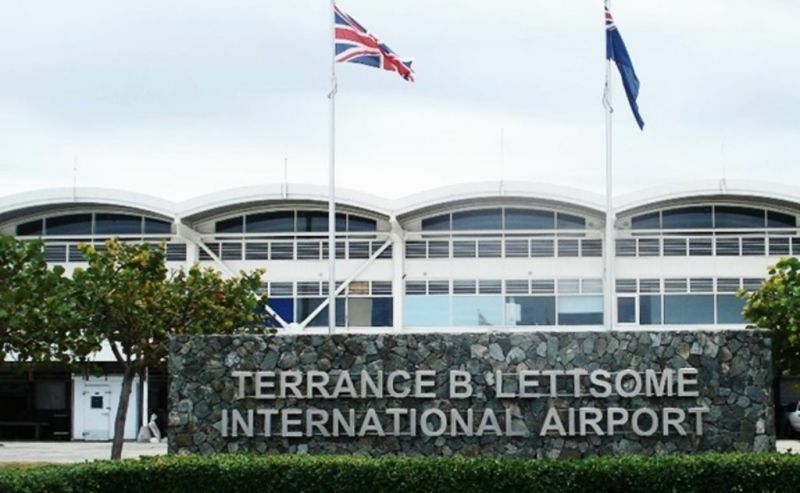 Munro in his sworn affidavit however, said the accusations against DeLacy, only came after Mr Smith was confronted with the fact that BVI Airways’ liabilities had been far greater than what he had represented them to be. Speaking to the offer to run the company, Munro said, in July 2013, just weeks after he had arrived in the Territory to work with BVI Airways on June 30, 2013, Mr Smith in lamenting his inability to manage of lead the company, offered him the position. The former BVI Airways Pilot—testifying in support of Colchester Aviation, the company that ultimately took over the airline—said too, that BVI Airways was essentially ran out of Smith’s home on an iPad. Munro said, he lived with the Smiths in their home on Tortola, from the time he arrived on June 30, 2013, to September 1, 2018. He said, the BVI Airways owner used his house as his office—an office with no direct phone lines and with stacks of paper documentation piled everywhere. According to Pilot, Munro, it was at this time that the BVI Airways owner shared his concern about a lack of direction for the company and they decided to brainstorm the situation. The BVI Airways owner subsequently sold 80 per cent of the company to Etico Capital, an Investment Company ran by Jerry D. Willoughby and Scott A. Weisman. 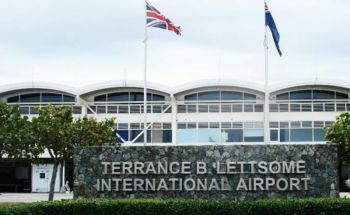 Colchester Aviation, another company formed by the same two men—Willoughby and Weisman—managed to soon wrest 100 per cent control of BVI Airways from owner, Luke Smith, who founded the airline in 2009. The premier need to be lock up. This is getting more serious I will like to know who all get kick back people of the BVI you all give them another four years to get rich they are laughing at us straight to the off shore banks. We have to get rid of all of them from /////// our tax money. Who cares. This is before the government loaned the money and had nothing to do with the events surrounding the spending of it. Well I think the point of all of this is if they did their research they wouldn't have been ROBBED by these con artists. Shows the gross incompetence of the current admin. Sure the story will get to what happened after and during the loans were made. so if it was before the government should have done their research, and not take our money and wasted. What a sordid, twisted scam/tory. This is tory needs to be on Ripley’s Believe It or Not. What ah national shame, disgrace and embarrassment. How could educated people just give away $7.2M of taxpayers money without doing any due diligence. Extremely poor and brazen reckless resource stewardship and severe lack of fiduciary responsibility. The Premier, decider-in-chief, as well as others, must provide a full accounting of what happened, when, why, who, if anyone, benefitted, how and where. They must make taxpayers whole. If anyone has deliberately and broken laws, trust.........etc, he or she should not be permitted to run the clock out. Moreover,it took a long but finally the Governor has awoken and an audit is under way. The BVI is in the midst of its customary summer celebration, but the only good thing worthy of celebrating is the 184 year of the Emancipation of our fore parents from the worst crime on humanity——-Slavery. A perfect storm has ravaged the BVI: natural disasters, ie hurricane Irma and Maria, historic 100-year flood ( 1st anniversary August 07, 2017); manmade disaster——-financial mismanagement; legislative storm——Amendment of Sanctions and Anti-Money Laundering Bill that required C’bean OTs to establish registers of beneficial ownership. It is a somber period for BVI residents. The same kind of educated people who signed that water contract with BiWater which is now a noose around our necks. We have to pay for water even if we don't use it. They all a bunch of educated jokers. @ Legal Tender, real talk. Real live hypocrites. The NDP wailed and cried fire and brimstone for two elections, lambasting Bi-Water. There was a whole lot of noise; the decibels wqs off the chart, hurting one’s inner ear. Elected, the NDP sabotage Bi-water to make sure it was a failure; nasty and vindictive politics. Tribal politics at its worst. Nonetheless, as soon as Bi-Water was sold to Seven Seas, a company that a local billionaire has an interest in, the silence was deafening; tings are now as quiet as a church mouse. They got elected on the backs of the lil man that Bi-water was bad. Now, all is well with Bi-water. Hypocrites and chameleons. Okay okay, Biwater and BVI Airways are issues we need not let happen again so let us all keep our eyes on not letting the Chinese slip in through the “I can bring workers and fix your machinery we sold you” door, or the “I want to buy citizenship for that little bit of money you are asking” door or the “I can help you with financial services, let me bring my people” door or any other door. We need to be vigilant.